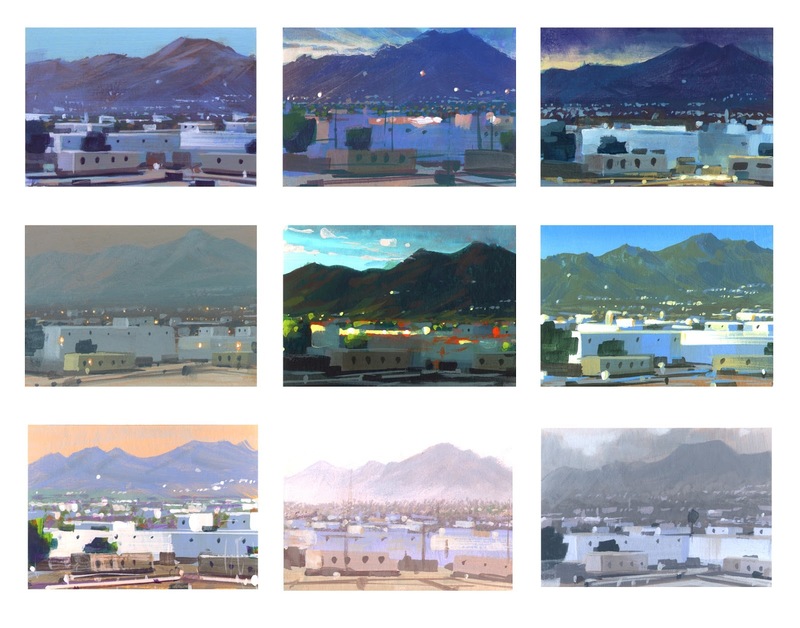 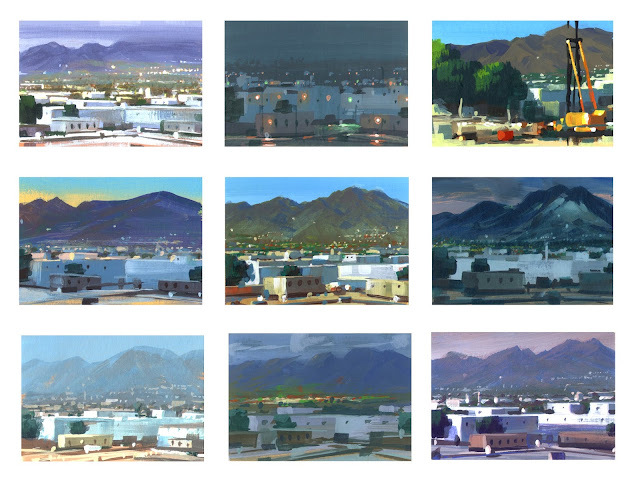 These are studies of the view out of my office window from DreamWorks back in our traditional painting days. 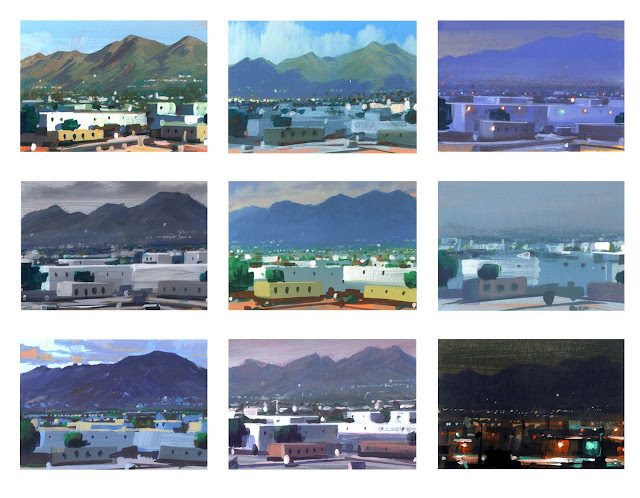 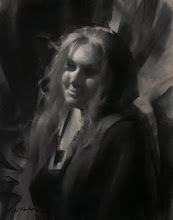 I did something like 70 of these over the course of a year, they're painted in acrylics. 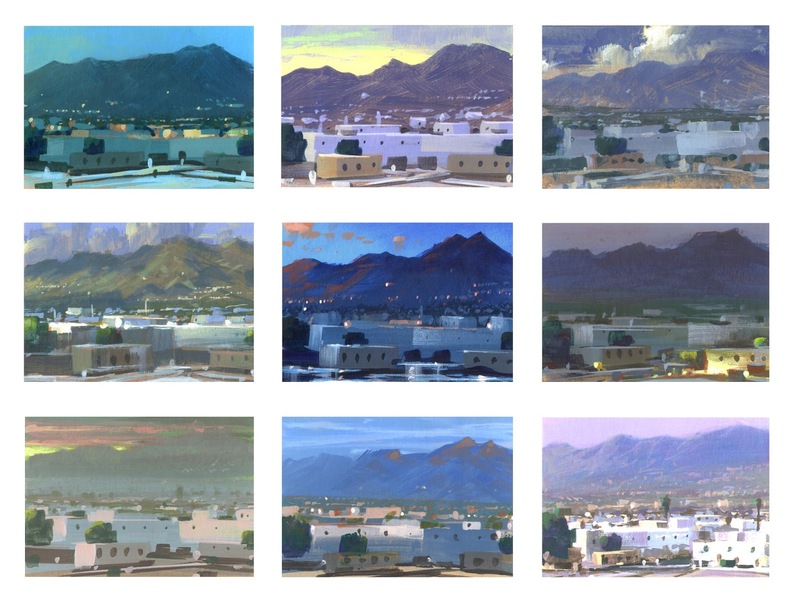 I've posted some of these before and now here are all the ones I have handy in one group.